Over the course of two decades in the nonprofit sector, Ryan Houston has developed a reputation as a committed and effective leader in Oregon conservation, well known for strategic vision and a dedication to collaboration. 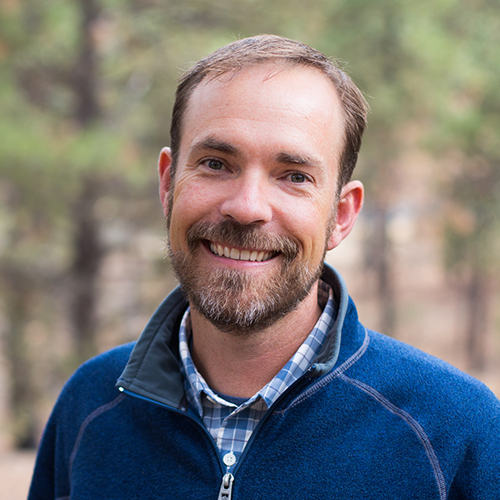 We’re thrilled to welcome him as Oregon Natural Desert Association’s third executive director and we’ve pulled together a few questions to help you get to know him and his approach to conservation. First things first, when you’re on a long drive out to a remote spot in the high desert, what’s playing in the car? It’s probably an audiobook as I love having time to really immerse myself in something when I have many hours on the road. My most recent audiobook was Malcolm Gladwell’s David and Goliath (very applicable to our work at ONDA …), but I enjoy a whole range – non-fiction, history, literature, you name it. When it comes to music, I think I’ll have to plead the 5th … my kids put all sorts of crazy playlists together and I find myself enjoying them way too much when alone on the road. Thousands of individuals and dozens of foundations and businesses contribute financially to Oregon Natural Desert Association in order to see the lands, waters and wildlife of Oregon’s high desert protected. As executive director, you’re responsible for seeing that their dollars are used efficiently and effectively. What’s key to your strategy for using donors’ investments in ONDA wisely? I love this question because I believe that organizations must look in the mirror and ask: How do we know we’re making a difference? I think about this because I want to make sure we’re effective and not being distracted on what I call “random acts of conservation.” Planting a few trees here or picking up some litter over there might feel good and make for some nice photos, but these actions often don’t bring any real change. To ensure that we are indeed making a difference, we have to create clear strategic vision. How? I’ll summarize my approach this way: First, we define specific measurable outcomes (wilderness area designation, a change in public land policy, the restoration of steelhead spawning habitat in a particular tributary, et cetera.). Next, we work backward and think through the series of steps necessary to arrive at that outcome. There are often dozens of social, political or scientific cause and effect relationships to map out – “if we do action X, then we expect to see result Y” – and it’s important that we really hammer them out to make sure we’re making good assumptions. Finally, with those stepwise relationships charted out, we can follow a step-by-step work plan to move from where we are today to the outcome we want to see in the future. I enjoy geeking out on strategic planning resources like the Open Standards for the Practice of Conservation, and I like developing outcome-oriented conceptual maps because the process generates good discussion, is valuable for communication and planning, and most importantly, because it allows us to measure progress toward goals. Given the scope of anticipated effects that climate change will have in eastern Oregon, can volunteer stewardship projects really make a difference? Absolutely. While the causes and impacts of climate change are global, our efforts to mitigate impacts to our desert landscapes can be very local, at the scale of a tributary creek or wildlife migration corridor where our projects take place. To drill into this, I think we need to start by thinking about how ecological systems work and, most importantly, how they respond to disturbances like fire, changes in precipitation, disease or invasive species that are likely to be exacerbated with climate change. To recover from disturbance, healthy systems need resilience. In the tributaries of the John Day River, for example, our work focuses on restoring natural processes that are fundamental to maintaining resilience in the stream. These processes, including water storage, nutrient cycling or sediment deposition, may not be what most people think about when they’re on a stewardship trip building artificial beaver dams or planting trees, but these are the building blocks for restoring resiliency. Because improved water storage can lead to better temperature regulation or stronger vegetation growth in late summer, it all adds up to systems and populations that are more robust and resilient and, therefore, better able to adapt to the effects of climate change. In many ways, this circles back to the question above – how do we know we are making a difference? – because we need to make sure that our stewardship activities are focused in the right places and using the right approaches to make a meaningful difference in the face of climate change and other threats. Among our organization’s core beliefs is the notion that public lands are common ground for diverse communities. Why is ONDA committed to working for equity and inclusion in environmental conservation? I think this is really very simple at its core: At ONDA we believe that everyone deserves clean air, clean water and the opportunity to enjoy wild, natural landscapes. Public lands in the U.S. provide these basic needs so these lands should be protected and managed in ways that everyone can benefit from them, have equal access, express their voice, and feel welcome to explore and cherish them. For me, this is a really exciting time to be joining ONDA because we’re more explicitly focusing on these social, inclusionary values and, accordingly, helping to create a welcoming atmosphere for anyone and everyone who loves Oregon’s desert. I’m excited to see how our efforts to engage a broader array of people and perspectives will enrich our work for Oregon’s desert. 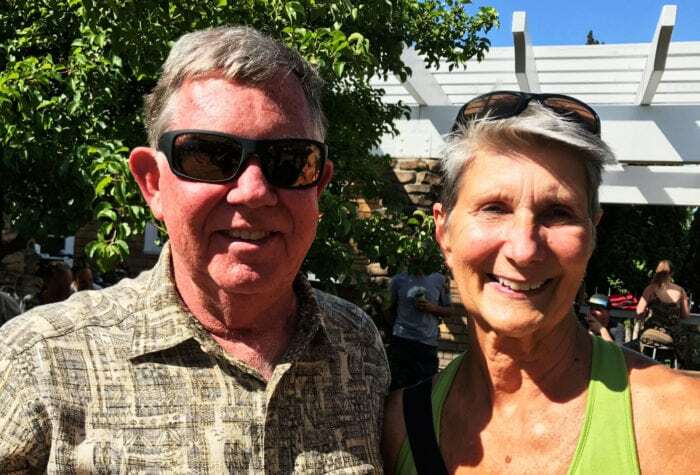 Given the broad range of interests that compete for attention in eastern Oregon’s public lands, how will you lead ONDA in finding a path forward with interest groups and constituencies who may have different or opposing aims? At ONDA, we focus on protecting, defending and restoring the high desert ecosystems of eastern Oregon. To be effective in this, we have to be smart about how we apply different types of advocacy tools, including collaboration, policy or legislative advocacy, community organizing, or litigation. But, regardless of the tool, I believe that it is critically important to build and maintain authentic relationships because these become the basis for all of our work. A decision to collaborate in one circumstance doesn’t mean that we can’t use other tools like policy advocacy, scientific critique or litigation on that same issue in a different circumstance. We work together with stakeholders and collaborators when and where we can, and then we rely on our strong relationships when we must to disagree professionally and respectfully using one of the other tools. What this means to me is that the “how” of our advocacy is as important as the “what” – we collaborate where possible, go our separate ways when necessary, disagree without being disagreeable, and debate the issues not the person. And, most importantly, when the disagreements run deep and the issues are being sorted out in Congress or the courtroom, we rely on our deeply rooted relationships to share our thoughts, explain our approach and listen to those with whom we disagree. All of this underscores the importance of developing good, authentic relationships as a basis for all of our work. Easier said than done, right? Absolutely. There may be stakeholders who will forever shun ONDA because of ONDA’s willingness to stand firm on important issues. That is OK and we probably cannot change it. We may not agree on the toughest of issues, but we can at least seek to have civil, respectful relationships with those who are willing and able to engage even when we can’t agree. This is all difficult work but, at the end of the day, when I’m standing atop Steens Mountain and admiring what ONDA has preserved there, it’s 100% worth every ounce of effort. What are a few of your personal favorite places in the high desert? Have you tackled any sections of the Oregon Desert Trail? It’s hard to pick favorites because I love exploring all the nooks and crannies of the desert. So far, I’ve been on about a half-dozen short sections of the Oregon Desert Trail in the Steens, Trout Creek mountains, Hart Mountain, Fremont National Forest and the Oregon Badlands. But, the next time I have a week or so to wander around, I’ll probably be headed to the Owyhee as I have a list of places there I’d like to explore. Aside from the 500+ pages of briefs and memos that Senior Attorney Mac Lacy gave you to get up to speed on ONDA’s legal program, what are you reading right now? Believe it or not, I do enjoy reading the legal briefs and memos but, in my free time, I’m currently reading The Underground Railroad by Colson Whitehead.